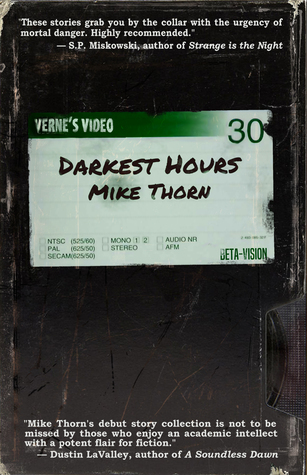 I read from my weird academic-in-distress story “Mired” (included in Darkest Hours) for the latest episode of Writer’s Block. Listen to the reading. Writer’s Block is CJSW’s monthly foray into literature. Hosted and produced by Dymphny Dronyk and sound engineered by Cody Dronyk, the program is focused on local events, writers, poets, publishers, while keeping an eye on the bigger literary picture across the country and around the world! Writer’s Block airs at 90.9 on the FM dial in Calgary on the third Tuesday of every month at 11 a.m. and 8 p.m.